I have started filling in the values and establishing her features more accurately. Her lips look a little too stern right now and she looks a little more mature as her plumpness has not been factored in yet. 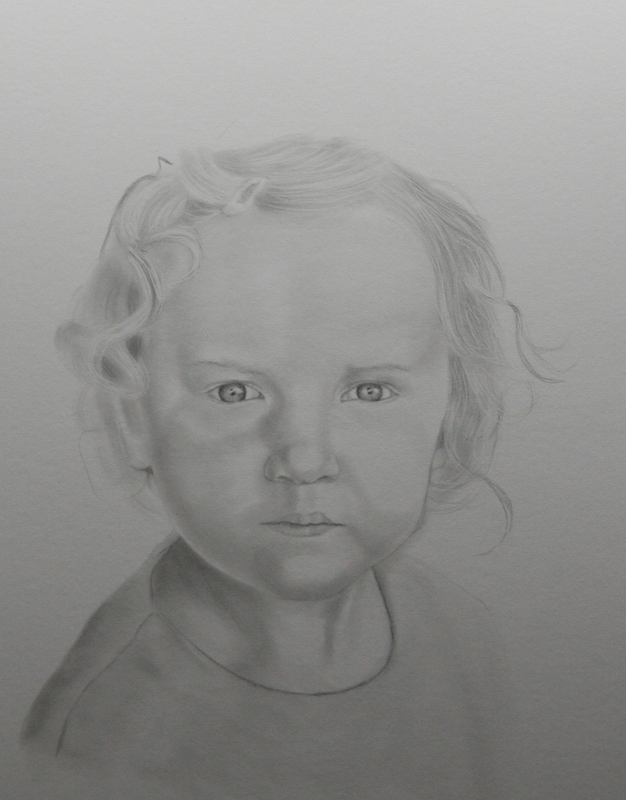 I am slowly building up the values ensuring that I keep her features soft and smooth while creating depth.